A dozen beasts have been disqualified from this year’s Saudi "camel beauty contest"because their handlers used Botox to make them more handsome. For the Bedouin of Arabia, nothing is more essential than the camel, used for centuries for food, transport, as a war machine and companion. 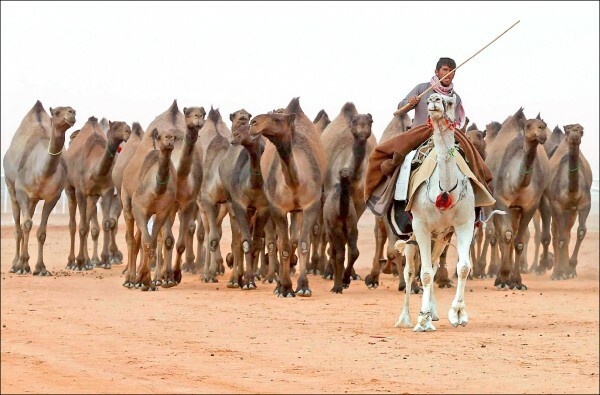 So, the authorities have ramped up the country’s annual month-long camel festival, which was relocated last year from the remote desert to the outskirts of the capital. On a rocky desert plateau, the government has erected a permanent venue to host the headline events： races and show competitions with combined purses of 213 million riyals.